BlahBlahCafe :: View topic - Lyon : New Stadium inauguration in december 2015 ? BlahBlahCafe Forum Index » Jean Michel Jarre » Concerts » Lyon : New Stadium inauguration in december 2015 ? Posted: Thu Oct 31, 2013 10:40 am Lyon : New Stadium inauguration in december 2015 ? From what is said at the end of this article, JMJ has made a proposal for a concert in Lyon in 2015, celebrating the new stadium. if this happens it be brilliant!! a new EIC style concert ..
Perth, Lyon, tour...there are projects! I would go, for sure! Me too, but let's make it step by step, in line : American tour, Perth, Germany concert, Ibiza with Nile Rodgers, then Lyon! Robi is this just your wishlist, or are there any rumours for a concert in germany that i missed? Jarre mentiond Germany (Ruhr) when Sony Music signed him. 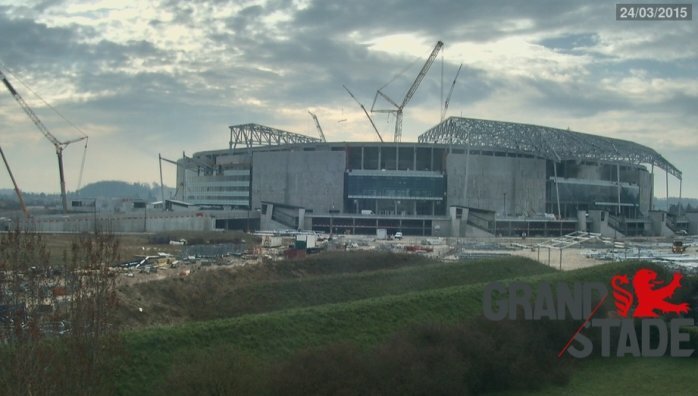 L'information semble se confirmer pour l'inauguration du Grand Stade (de l'Olympique Lyonnais). Jean Michel Aulas (président de l'Olympique Lyonnais et fondateur du groupe CEGID) à déjà eu l'accord oral de Jarre (entre Jean Michel, ils se comprennent). Ca serait donc pour Septembre 2015 s'il respecte les temps de livraison, ou Printemps/Eté 2016. I really hope it goes ahead but anything else is all hearsay until officially announced. Lyon Chairman, still want Jarre a concert to inaugurate the new stadium at the end of the year.